This [congressional exemption from ObamaCare] is an issue of fundamental fairness. Lawmakers are not above the laws that they pass and I believe that it is crucial that Members of Congress abide by the same laws that their own constituents follow. Congress isn’t living under ObamaCare. Yes, you read that correctly. Congress has an illegal and unfair exemption from ObamaCare that no one else in the United States gets. The plain text of ObamaCare requires Congress to enroll in an ObamaCare exchange. Congress did not want to give up a generous taxpayer-funded subsidy for insurance, so the House of Representatives and the Senate each enrolled in the D.C. Small Business Exchange (which is only available for businesses with up to 100 employees). Congress lied on its ObamaCare exchange enrollment form, certifying that each chamber of Congress only has 45 employees. Congress committed a massive fraud and now Members of Congress and their staff members are illegally receiving taxpayer-funded subsidies for health insurance. This is just simply wrong! Congress is not living under ObamaCare. Congress lied on its ObamaCare enrollment forms. Congress has a special exemption from ObamaCare. And Congress is hoping Americans will not catch on to this patently unfair and illegal scheme. Americans are ready for ObamaCare repeal, and we have been petitioning the government to repeal this onerous law for more than seven years. Please use the resources on this page to put pressure on Congress to live under the law with the rest of us. It is our best chance of getting full repeal. 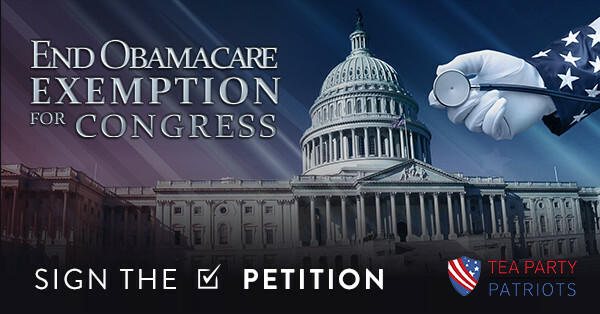 Sign the petition to end the Congressional exemption from Obamacare. When members of Congress, their staffs, and their families are forced to live under this law, perhaps they will possess the conviction to fulfill their promise to repeal Obamacare once and for all. 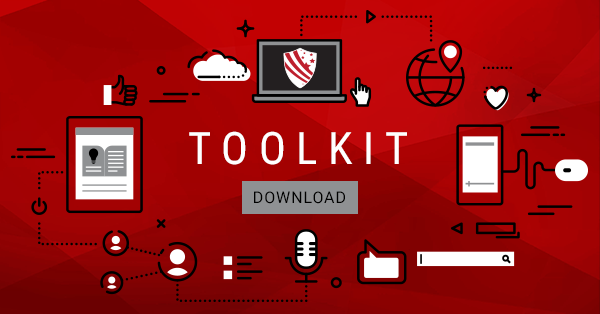 All the tools you need to help you make a difference. Every tweet, call and letter counts, so we’ve made a toolkit to help you discuss this issue with the people in your community and the lawmakers you elected. Send a message to your members of Congress. Then, call the Capitol Switchboard and ask to be transferred to both of your senators’ offices and to your U.S. representative’s office. Or look up your members of Congress below. Urge President Trump to direct the OPM to overturn the illegal congressional exemption from Obamacare for Congress AND for their staff. Now that you’ve seen all of the ways you can get involved, tell us how you’d like to be involved to stop the Congressional Exemption to Obamacare. Please check back often for additional ways to get involved.